The Lamb Room cares for children from 33 months up to 4 years of age, the year before they enter Kindergarten. The Lamb room is a pre-school setting which offers a variety of choices for your child's physical, intellectual, emotional, and social development. Through play, your child will be introduced to pre-reading, pre-writing and pre-math skills. Children 4-6 years of age may enter the Tiger Room the September prior to beginning Kindergarten. 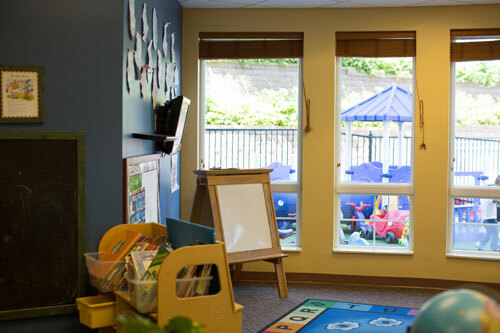 The Tiger Room is a pre-school setting offering the life skills to get your child ready for their elementary education. The children learn through play as well as structured activities. Our goal is to have your child enter Kindergarten with simple math, reading and social skills.